The extrusion of blown film is a continuous operation of melting one or more polymers through a circular die to form a hollow tube. The tube expands with air, collapses and finally coils. INZEA® has developped a range of biopolymers designed specifically for the extrusion of blown films. 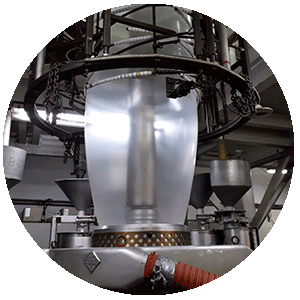 Our products can be processed in conventional PE and PP extrusion lines and can be adapted to any blown film processing technology, either for monolayer or multilayer films. Thanks to its compostability and biobased content, INZEA biopolymers are the material of choice for retail bags, fruit and vegetable bags, food packaging and also for mulch film. INZEA Biopolymers fulfill the EU regulation EN13432 that ensures the complete compostability of the film. To confirm its compostability OK Compost certificate is available for all our product range. Following the new legislative trends on sustainability, we have developed new INZEA grades that comply with the HOME Compost certification. 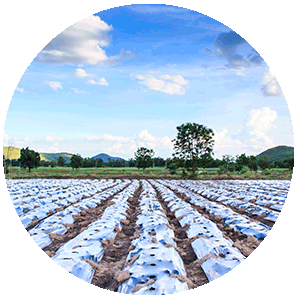 INZEA based agricultural films, are biodegradable in soil according to the European Standard EN 17033, ensuring the correct biodegradation in the field without causing any harm for the environment. 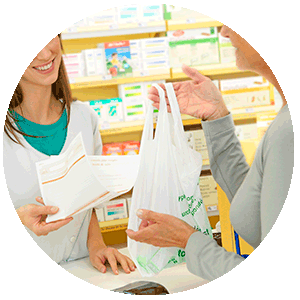 Many applications such as fruit and vegetables bags and food packaging, require transparecy properties complying with the food contact standard. INZEA product range offers a variety of grades, with different flexibility and technical properties, to replace conventional transparent polymers, such us PE or PP, to preserve food quality with an enviromentally friendly approach. For INZEA grades blown extrusion processing, a blowing ratio (BUR) of 1.8-3.0 and a cooling air temperature of less than 20°C are recommended. Single air cooling or internal bubble cooling (IBC) systems can be used.